Bruce covered the song one time in 1977 in the Stone Pony. Springsteen guests with guitarist Billy Hector’s short-lived band The Shots - they’d inherited the role of the Stone Pony house band from The Asbury Jukes. Hector would later form The Fairlanes, another band that Bruce would make some shore area guest appearances with. 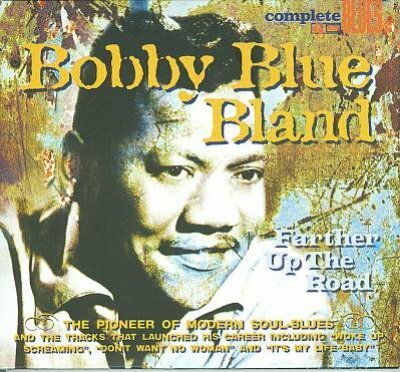 "Farther Up the Road" or "Further On up the Road" is a blues song first recorded in 1957 by Bobby "Blue" Bland. It is an early influential Texas shuffle and features guitar playing that represents the transition from the 1940s blues style to the 1960s blues-rock style. The song became Bland's first record chart success and one of his best-known tunes. "Farther Up the Road" has been performed and recorded by numerous blues and other artists, including Eric Clapton who has made it part of his repertoire.